I am a freelance illustrator producing drawings/cartoons in a wide range of styles, using both digital and traditional methods. 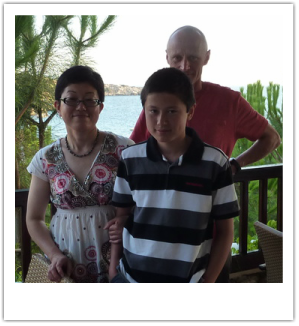 I am based in Kingswinford in the West Midlands, and live with my husband Robert and son Christopher. My professional career as an artist started in the 1980s just after I graduated from art college when I became a toy designer in a Tokyo-based company. There I mainly produced designs for battery operated animals. Since then I have developed a passion for drawing animals. This is now one of my specialities. I also trained as a botanical illustrator at Birmingham University in the late 1990’s and have produced a series of botanical arts based on a local nature reserve. I have also been exploring different types of creative work including designing company logos and helping local school art projects. After working as an English/Japanese translator at an automotive company for 13 years I decided to become a freelance illustrator using my wide range of artistic skills.